I met Jiovanna and Kevin last year at Wedding Wars, a modern day Colorado based bridal show, where I was positioned right next to the bar. We all know that’s the best place to be – next to the free booze. After obtaining some of their provided yummies, Jio and Kevin stopped by to check out my work for their June 9, 2017 Boulder wedding. After talking for a bit, they happened to win my complimentary engagement session. It had to be fate, as Jio and Kevin are my kind of people. We headed up to Rocky Mountain National Park for their adventure engagement session (which you can check out HERE), and had a great time spending the afternoon out in the wilderness. They even brought a whole camping set up to photograph with – not gonna lie, it was pretty awesome (Rocky Mountain Bride agreed – check out the publication of their engagement session HERE). We spent the rest of the evening at The Wedgewood on Boulder Creek – a lovely venue along Boulder Creek up on Canyon Road. They were so genuinely happy to get married, as I know it was a LOOONG time coming. Nearly 10 years I do believe. They were surrounded with their friends and family for the evening, where they hosted a variety of games as well as a S’mores bar. We ended the evening out in front of the full moon rising up over the canyon, it was a lovely day. Thank you again so much for inviting us to be a part of your wedding celebration! Congratulations, Jio and Kevin! 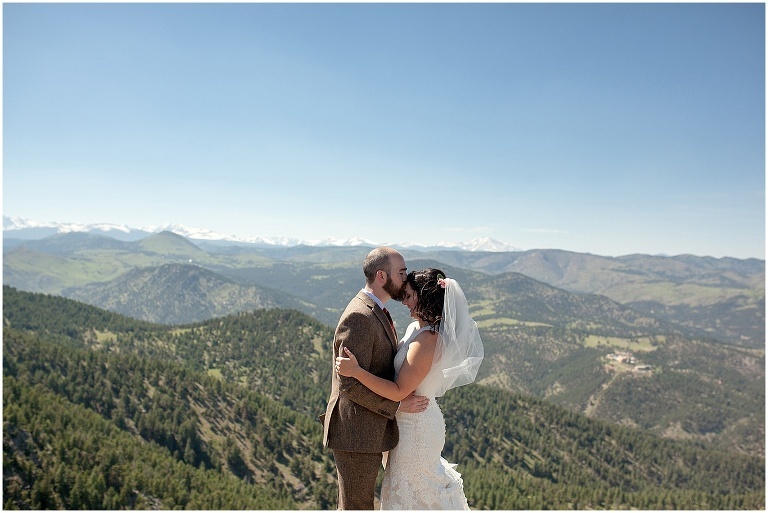 © 2019 Colorado Mountain Wedding Photographer|ProPhoto6 Blog|Design by Northfolk & Co.